US has passed the bill to cut its corporate tax rate and IMF loves the move. The tax rate has been slashed from 35% to around 20%. That's a BIG cut which would make every organisation in the USA rethink its tax planning. The rethink has already begun at organisations like Apple, which reamined innovative in its tax planning all these years, and had stashed profits abroad to avoid taxes, and is now thinking of moving it back. Even domestic firms are looking at increased cashflows, e.g. Comcast as shown in figure below. b) US is moving into territorial taxation system where the earnings abroad would be facing a one-time repatriation tax of around 15% on cash and and lesser on other assets. After this one time measure, US would continue with base erosion and avoidance tax (BEAT - similar to other base erosion and profit shifting rules prevalent elsewhere) and would ensure that a minimum of 10% tax is collected in case the multinational organisation based in US is not being taxed anywhere or is moving profits abroad. 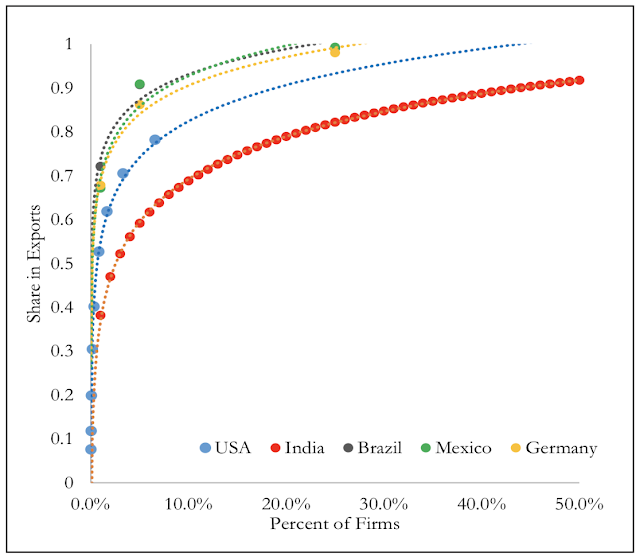 Exporting firms would get taxed at a lower rate, an aspect that might be challenged at WTO. The aspect of taxing 10% might hurt Indian IT companies operating in USA and trying to repatriate the profits back to India. c) The investment in capital by any firm can be deducted upfront in full as expenses. This is indeed significant as only depreciation part was deducted as expenses all these years. An upfront full deduction should lead to a huge shot in investments, at least in the short run while the 35% tax lasts, and relatively slowly yet significantly later on. 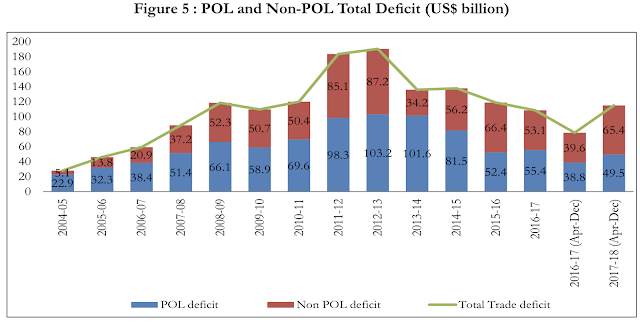 The plan once implemented would leave a hole of around 1.5 trillion USD over years and moving the fiscal deficit from current approx. 3% to a future of 4% and it might not be very comfortable unless other tax collections pick up in future. a) There would be less transfer pricing abuses through moving profits/offices abroad to save taxes. 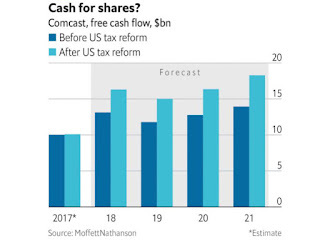 b) US would get an investment boost as now full amount of investments would be expensed immediately in the balance sheet thus helping investing firms avoid taxes. c) The tax cuts will trickle down to shareholders, workers (wages might go up), and consumers (cheaper products) in the medium run. 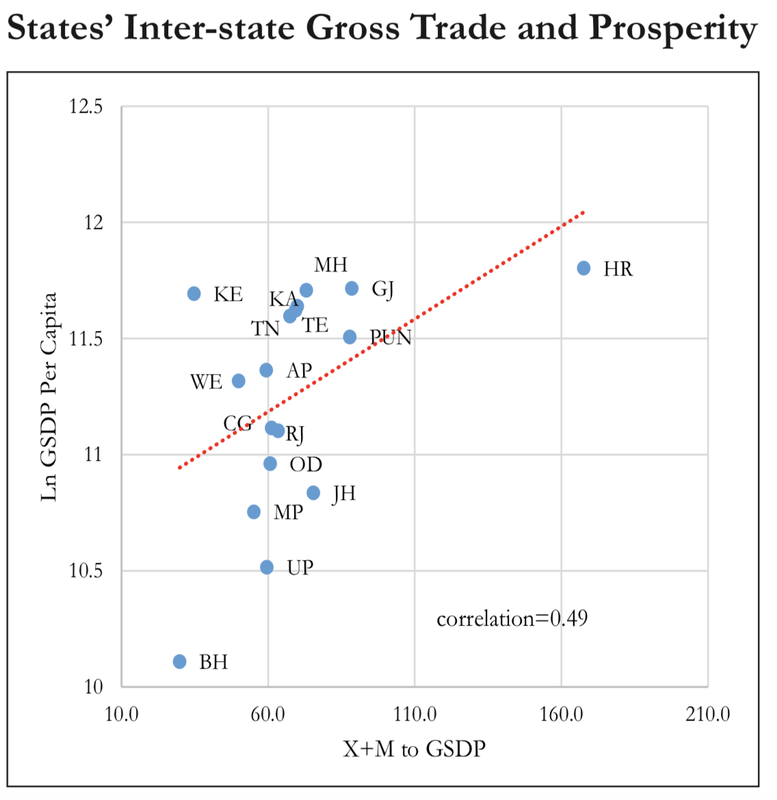 d) It would create more jobs in US due to higher investments domestically. e) Multinationals would find US an attractive destination to invest. 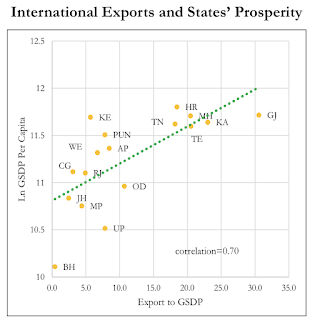 f) Exports would pick up. g) And if you believe President Trump, this would make America Great again - well almost. Overall, the policy changes are projected to add to growth through 2020, so that U.S. real GDP is 1.2 percent higher by 2020 than in a projection without the tax policy changes. That makes me wonder if a Republican wrote the economic outlook this time. Nevertheless, there is news about challenging some aspects of this reform at WTO. There are also fears that if corporate tax rate is significantly lower than personal income tax rate, which would happen in this case, there would be perverse incentives to rich employees and high wage earners to become pseudo corporate entities in order to save taxes. 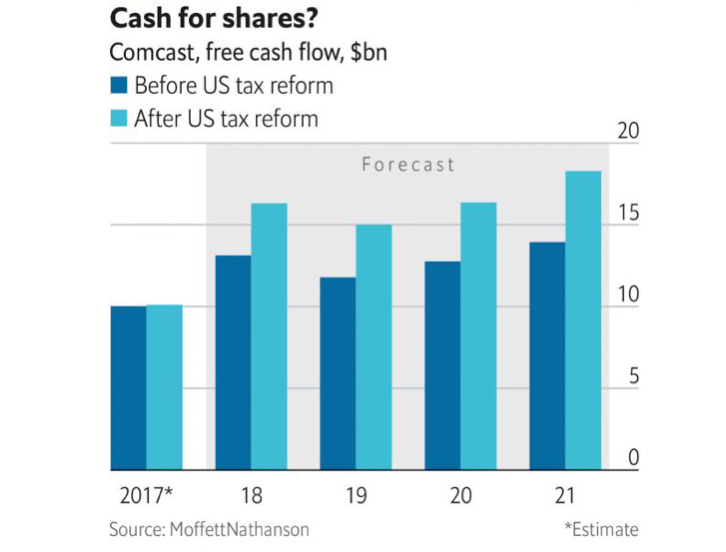 The decrease in US corporate tax rate would have international ramifications, and it won't be limited to financial world of lending and profit shifting. Significant investment decisions would be now reconsidered. 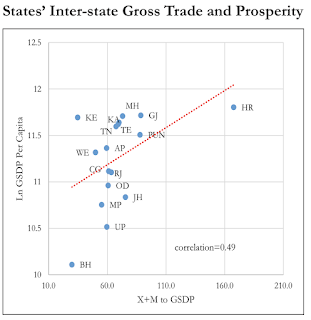 There might also be a race to reduce corporate tax rates elsewhere. This brings us to India. We have a corporate tax rate of 30%, which after inclusion of cesses/surcharges (our way of doing things) goes almost upto 35%. Corporate tax contributes between 60-65% of total direct taxes (rest being income tax) and direct taxes contribute almost 60% of total taxes collected. So the corporate tax is almost 36-39% of total taxes collected. This is a significant sum for a country where the tax to GDP ratio is less than 18% (for US it is around 26% and other developed countries hover between 30 to 45%). Therefore, any significant cutting of corporate tax is going to hurt us, especially during the times when we have tweaked the indirect tax collections under GST and are struggling to stabilise the indirect tax regime. So what should India do. First, do nothing but watch. India has not been a tax haven anyway, and given the capital controls, we don't have any stake in firms moving in here for any kind of tax/profit saving measures. We are not Ireland in that sense and therefore the moving apple won't bite us. However, we need to watch out for funds investing into India through FII route. Second, make India a good destination to invest, through inherent reasons than for taxation reasons. This in a way is already happening through tax reforms and other ease of doing business measures. Three, take a cue from US on not worrying about fiscal deficits, and spend to build infrastructure in a massive way. This would hurt fiscal deficit numbers, but then, while the inflation is subdued and employment is down, this might just be the doctor's prescription to take away demonetisation and GST birthing woes. 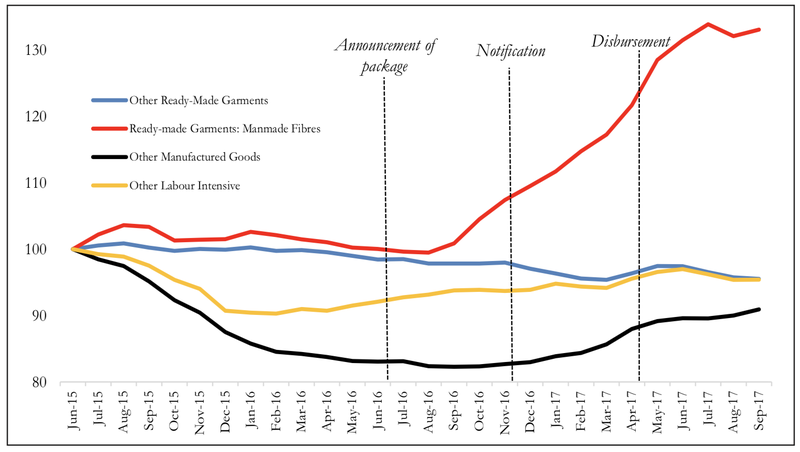 Fourth, and most important, detax merchandise exports and incentivise the goods exporting firms in order to spur make in India and increase jobs in this sector, and I am not talking about indirect taxes here (we already have zero rating there). Corporates who export manufactured items, should be taxed at lower rate on their profits earned through exports. Yes, it would be challenged at multilateral forums, but then, if the US doesn't care, why should we? As per this CII report, Logistics in India’s rapidly growing economy is supported by the world’s 2nd largest road network, 4th largest rail network, 14,500 km of navigable waterways, 200+ maritime ports and 125 airports. 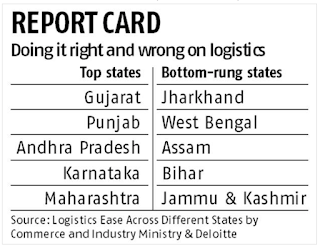 However, India ranks 35 in World Bank’s Logistics Performance Index (LPI) due to poor modal share - 60% of India’s domestic freight moves on roads, despite other modes being 50-60% cheaper and 50-90% less polluting. This unfavorable modal mix is due to lack of seamless intermodal connectivity in the country. This highlights the need for development of multimodal infrastructure in the country through close coordination between different agencies involved in planning and developing transport infrastructure. Development of an efficient logistic system is an essential prerequisite for a transitioning economy to grow into a developed economy. Of late, Government has acknowledged the importance of an efficient logistic system for the country’s economy by granting it the status of ‘infrastructure’, thus helping this sector to gain easier access to finance for development. A well-developed and efficient logistics system acts as a lubricant for smooth movement of goods from factory and farms to consumers and ports, thus ensuring that the economy doesn’t waste time and energy in overcoming unnecessary barriers in movement of goods. Lest the view become parochial, let me state here that logistics is not just transport, but includes all aspects of production process planning of goods. It includes storage, warehouses, clearance procedures at factory gates and border, regulatory compliances and all aspects of supply chain management that move the goods. I had shared the story of Gujarat's state of logistics in the previous post where I discussed some of the challenge being faced by the export sector. If one looks closely at the issues, one may observe that many of the issues arise due to compartmentalisation of the ministries involved in the overall logistics. The Rail ministry has hardly any interaction with the surface and road transport ministry or with shipping, aviation and so on. While it might be so by design and legacy reasons, there is a need to look at the entire logistics matter holistically. There has been thinking in this direction, but it has not gone beyond the drawing board. Also, if one looks at the rankings in the worldbank database, one may observe that India has made good progress in this area. While we may not be at the top as of now, we certainly are doing good progress and need to persevere. The roads and ports are doing good today. Railways and waterways need to buck up. These are individual efforts by good departments and ministries which have created the synergistic effect of improving logistics over years. 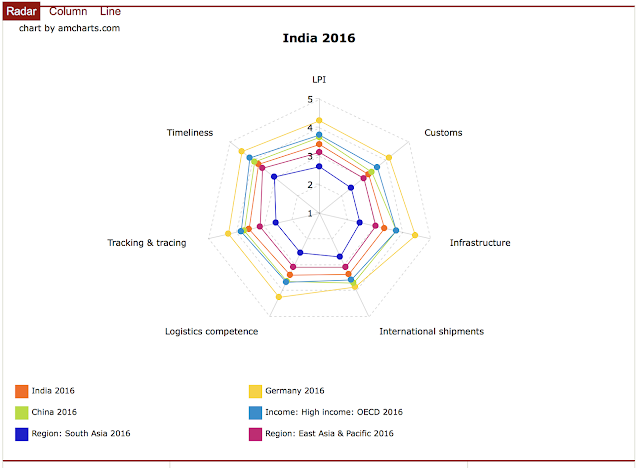 However, there is still a policy uncertainty when it comes to formulation of a National level logistics body and associated Integrated National logistics policy that looks beyond just a specific mode of transport or goes beyond the narrow sense of transport logistics. However there are green shoots in this direction. There is an yearly conference on India integrated transport and logistics summit that makes all the right noises about creating an integrated policy. In the 2017 conference which was held during May at New Delhi, the road minister talked about thinking about integrated transport policy. While his ministry has done commendable work in the area of roads, other aspects of logistics are lagging and beyond his control. There is also a move in the commerce ministry to create an effective logistics division to look after trade logistics, and which by extension should cover all logistics because I cannot imagine an isolated trade logistics without industrial logistics. However, I doubt the effectiveness of this body to have overarching impact unless it derives power from the PMO or becomes a part of PMO in the current scheme of things. There was a talk about creating an integrated ministry to look after all areas of transport, but I am not aware of anything moving in that direction. States enjoy wider powers after the increased financial delegation under last finance commission. 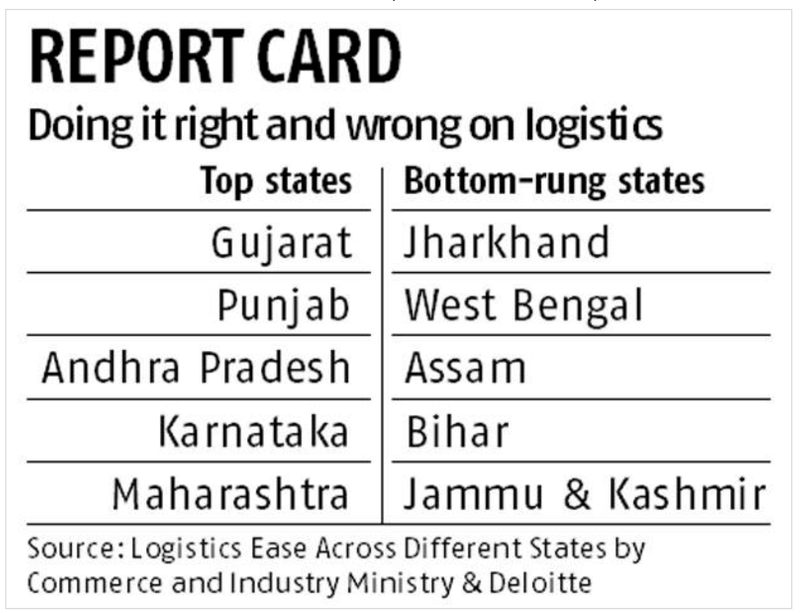 Some of the states have done a lot to improve ease of doing business, including in the area of logistics and movement of goods, but a lot is left desired by many states. Given all this, and given the importance of logistics for economic development in future, we need an apex body that works in the direction of Integrated National Logistics Policy. Gujarat has topped the perception based survey conducted by Deloitte on behalf of ministry of commerce. While I am not sure of the methodology and sample details, I am fairly sure that the survey is mostly accurate to the extent where the perception goes. I have been posted in Gujarat for sometime now and I am impressed by the amount of ease of logistics transactions in this state, when compared against other states I have worked with earlier. While that is so, my day to day interaction with the exporters from the region has given me some insight about a few challenges which I am summarising sector-wise in this post. I am treating logistics issues from the point of view of exporters, as the goods move, from the factory gate to the port. 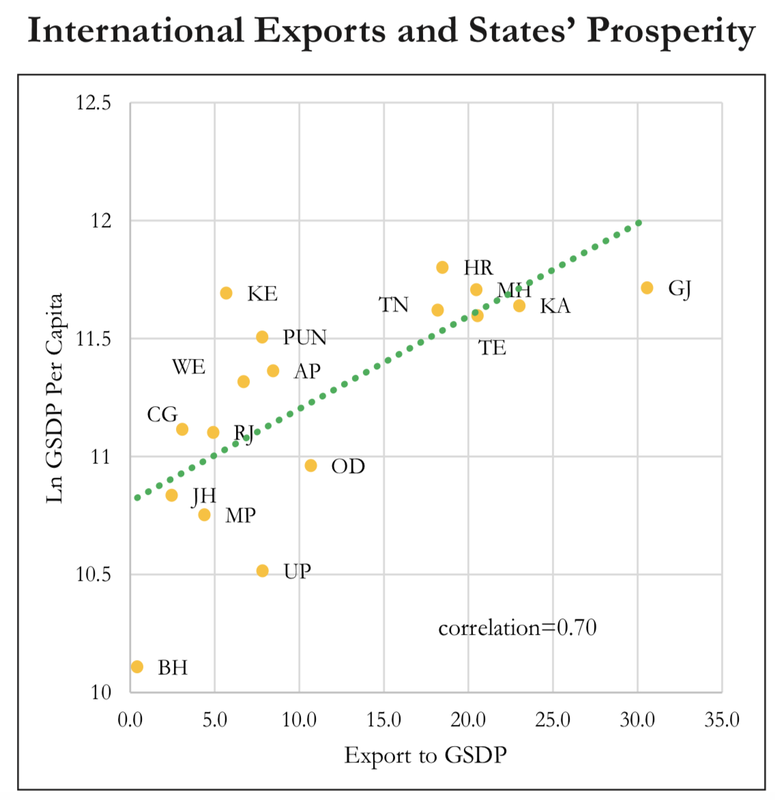 Gujarat stands second in terms of exports from India, after Maharashtra. A strong industry base developed over a significant period of time supports the exports from this state. Gujarat enjoys the benefit of proximity of good sea ports in Mundra, Kandla and Pipavav. Southern Gujarat is well connected to Mumbai port. The road, power and rail infrastructure is well developed in Gujarat and the advantage flows to the industry through faster movement of goods. Gujarat has well developed industrial sectors in the area of petroleum, gems and jewellery, chemicals, pharmaceuticals, textiles and engineering. 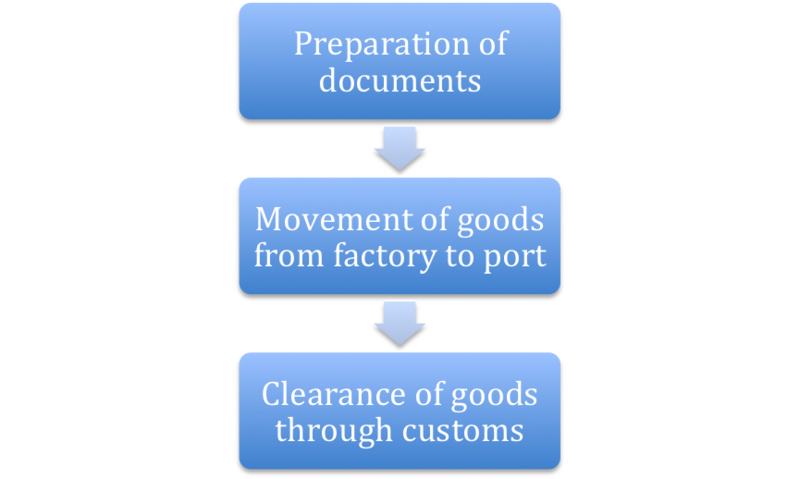 Primarily, the process of exports of goods can be categorized into three distinct stages. Of this, the first and third stages shown above needs to be addressed through regulatory measures of ease of doing business. The second stage, that is the movement of goods from factory to ports, is the one that can be addressed through physical logistics infrastructure improvements. However, a holistic view of logistics cannot ignore the first and third stages of preparation of documents and clearances through regulatory agencies such as customs department. 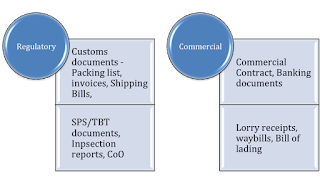 Preparation of document is split into two parts: regulatory and commercial, as outlined above. Both activities are time consuming and involve direct and indirect costs in terms of various fees and consultancy charges. Any move to digitise and make these documents simpler adds to ease of doing business. This step involves effective logistics planning. In most cases, the movement from Factory to Port is in stages. The Factory to Airport is usually through road, whereas the journey from Factory to SeaPort or Landport is usually either through road, or through a combination of road and rail. The rail is usually used when the goods are cleared through an inland container depot (ICD) which is connected to ports through rail services. The rakes (a stack of 45/90 wagons) used for the purpose are usually owned by the ICD service provider, for example CONCOR, and the services of moving the rake are provided by the Indian Railways. The movement from factory to airport is usually on road. The intermittent storage services are provided by private or public bonded warehouses. Most ICDs facilitate such storage of in-transit goods through in house warehouses. Depending on the distance, mode of transport and status of availability of rakes, the journey time of goods from factory to port varies. Therefore, location decision of exporting unit becomes paramount if the industry desires to export. The exporters have been unanimous that GST has cut down the transit time by around a day from earlier tax regime due to ease of movement across state borders. 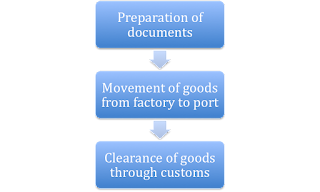 Custom House Agents (CHAs) usually carry out documentation activities related to clearance of goods at border through customs. 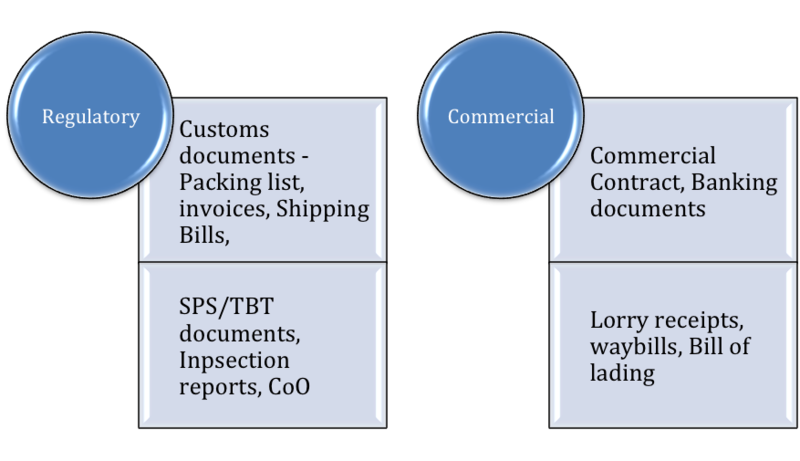 Individual exporter are given the facility to file the documents on their own, but usually due to the prevailing practice, and to avoid unnecessary delays, expertise of CHAs is relied upon by even the most reputed firms. The border clearance, when done through CHAs, is fairly hassle free and doesn’t take more than 2 days time at the most in Gujarat. I have personally seen the customs department in India evolving to become friendlier towards exporters over the last decade. The steps being undertaken under the guise of 'Trade facilitation agreement' that India has signed during 2016 at WTO is going to help in terms of standardisation of documentary requirements and taking the documentation process more and more online. In the recent days, after introduction of GST, customs too has moved towards e-sealing procedures and has reposed greater faith in exporters in terms of self sealing of export containers. This is indeed a welcome move. The only temporary setback I see after introduction of GST is the delay in giving refunds to the exporters in terms of their Input tax credit or their IGST refunds. This too shall be ironed out in due course. Now, I shall summarise the general issues in logistics that I could collect as feedback based on my interactions with the Gujarat exporters. Availability of rakes at ICDs can be made more scientific through cooperation with the railways. The current situation is not amenable to good scheduling leading to unplanned departure of goods and uncertainty of assured timelines for movement of export cargo. An ICD at Rajkot and Morbi are needed for faster clearance of cargo. The road transport costs almost 2.5 times that of train transport. The reliance on road is due to lack of availability as well as poor predictability of rail transit time. A better supply of rail service, from various ICDs and export hubs to ports, would help in cutting down logistics costs in a significant way. The electronic interface of customs (ICEGate) is buggy and slow, leading to various delays and harassment while filing documents. Better cold chain facility in terms of reefer containers needed. End to end temperature control, from factory to port, for pharma products is critical. Due to lack of proper facilities for handling temperature sensitive pharma products, Gujarat pharma industry prefers to move their cargo through road to Mumbai for air or sea shipments. The availability, as well as handling facilities for reefer containers at Ahmedabad airport is limited. Ahmedabad airport doesn’t figure on most international airlines catering to pharma markets. The rail service catering from ICD Ahmedabad to Mundra/Mumbai do not have facility to move reefer containers. Road transit to Bangladesh border and customs clearances at border (Petropole) takes a time of around a month in total. Out of this, around 15 days is consumed due to road congestion at the border, in the state of West Bengal - a poorly ranked state in the above survey - and delay also arising out of poor infrastructure and inefficiency of clearance at Indian and Bangladesh customs. 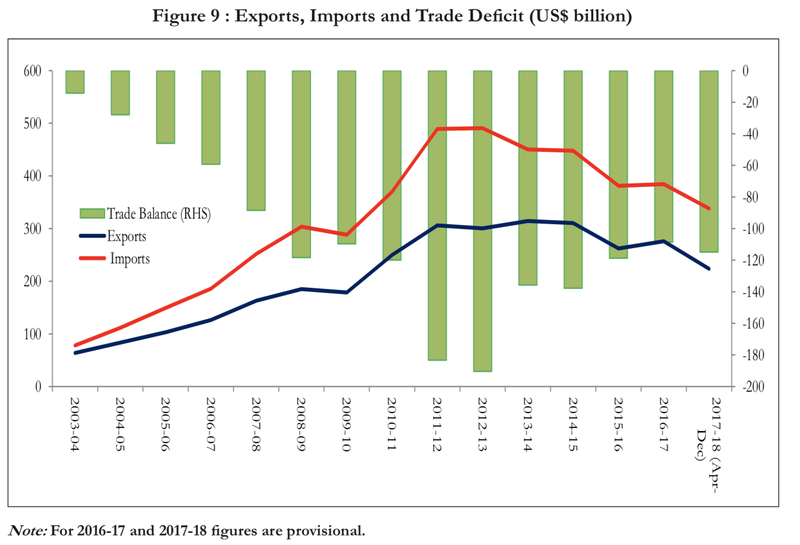 This in comparison to China, which is able to supply goods to Bangladesh within 7 days, puts Indian exporters to Bangladesh at a considerable disadvantage. Given the quantum of exports, a dedicated rake may be provided from Gujarat to Bangladesh border which is not available as of now. Better availability of rakes at ICD Ahmedabad would help cut down time of travel of export cargo from Ahmedabad to Mundra/JNPT. Under connected international airport of Ahmedabad. Exporters have to rely on Delhi and Mumbai international airports for diamond exports to major destinations. Customs clearance of gems and jewellery requires specially trained officers to be posted in adequate numbers for faster assessment of export cargo and subsequent clearances. This is not so in airports of Gujarat.